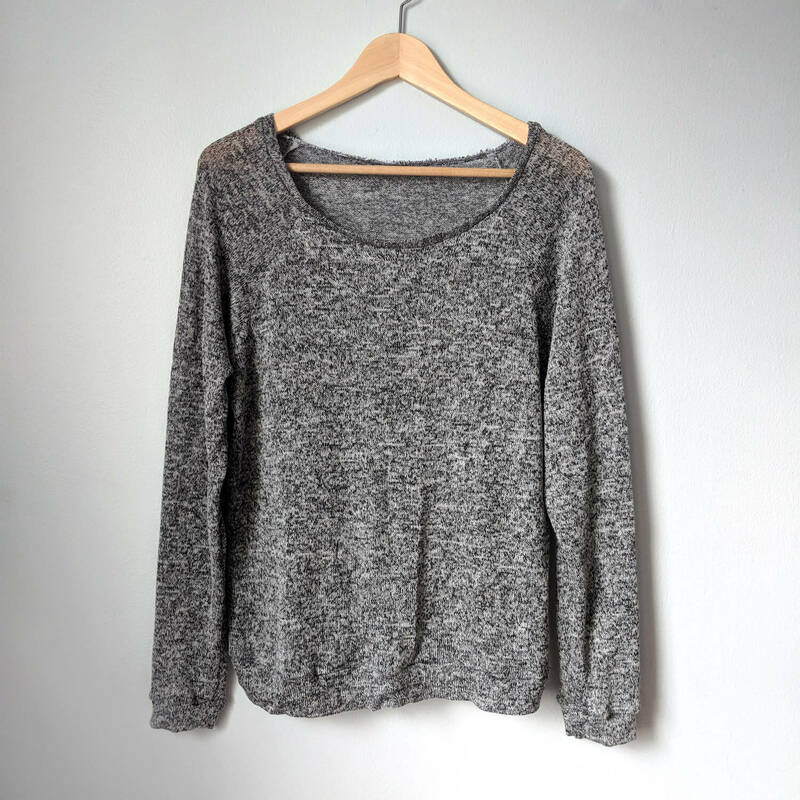 It’s another gray layering piece! I have sewn yet another neutral layering piece. Which is great actually, because most of my shirts and tanks are so bright. 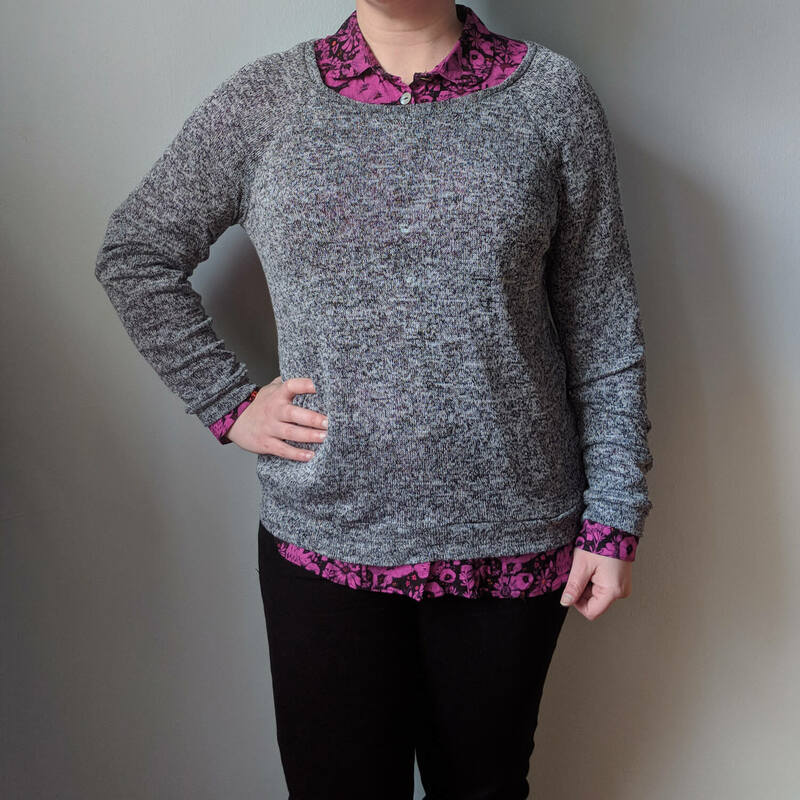 This is a Linden sewn up in a lightweight, super stretchy, sweater knit I picked up at Fabric Place Basement. I was going to make this a cowl neck, but with spring approaching I thought I’d get more use with the regular neckline. I made my usual size and made no modifications. My serger did not like this fabric, resulting in a slightly uneven neck band, but it’s barely noticeable. 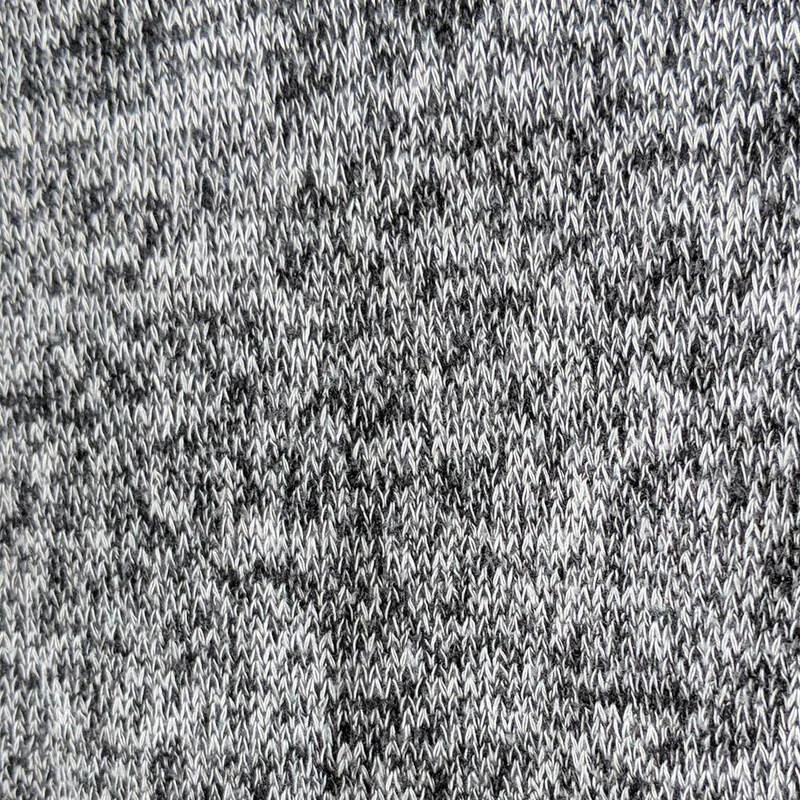 The store had a few different grays in this or similar knits, but the black/white makes a really nice texture.